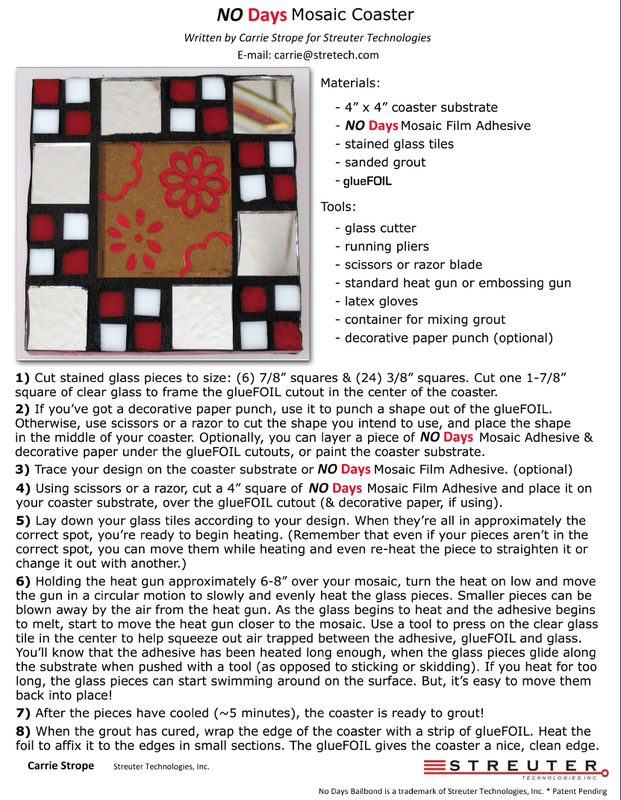 The No Days Mosaic Coaster makes a great scouting or birthday party project for kids. If you want to eliminate the grouting process, clean up is faster and easier. Just space your tiles really close together before setting.